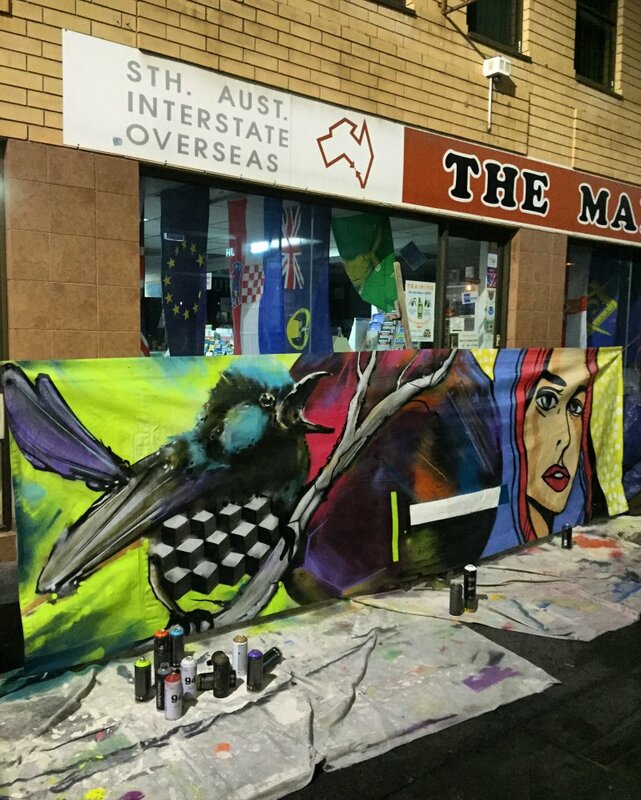 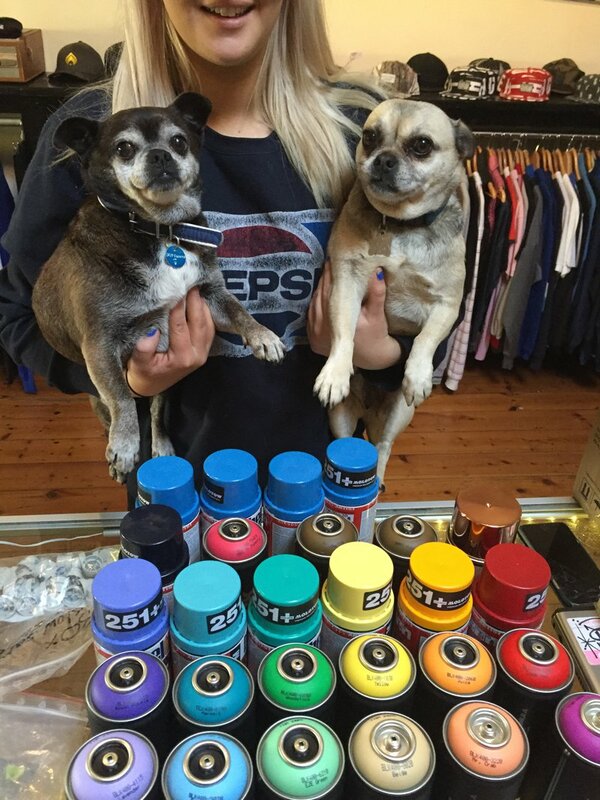 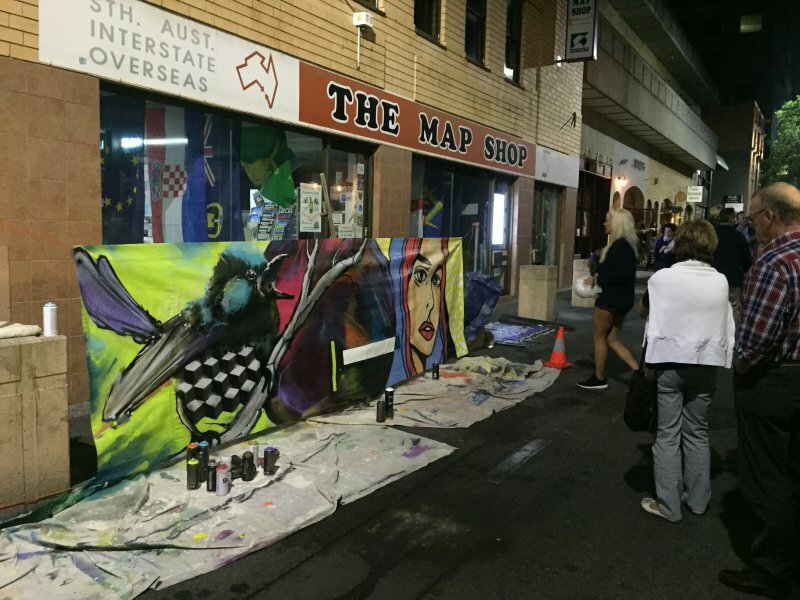 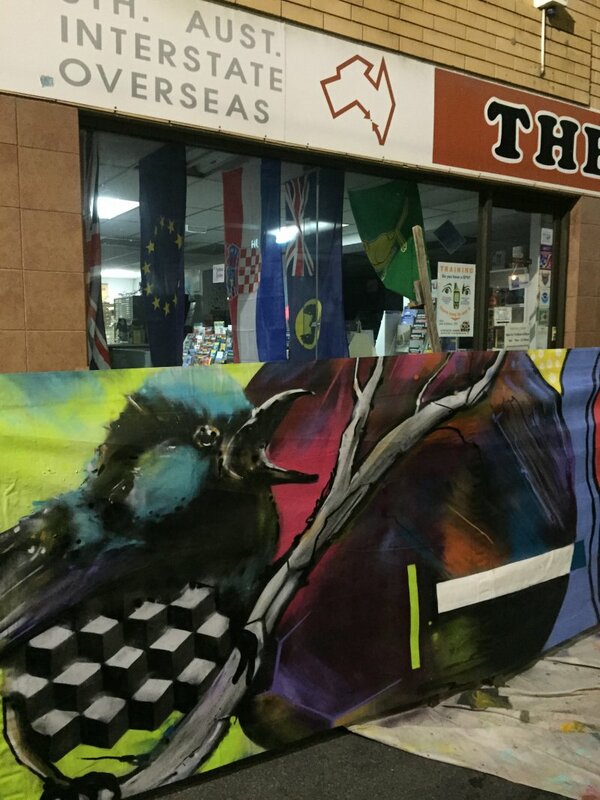 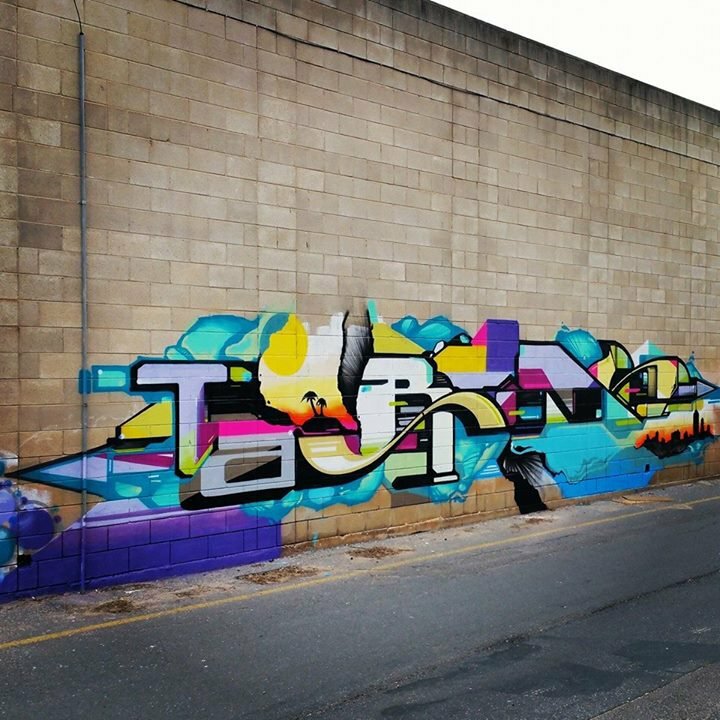 Tarns, Tayla Carlaw, 10tkl, Piano & Don recently got together for a paint on Little Rundle Street in Kent Town for the Fringe 2016 Street Party! 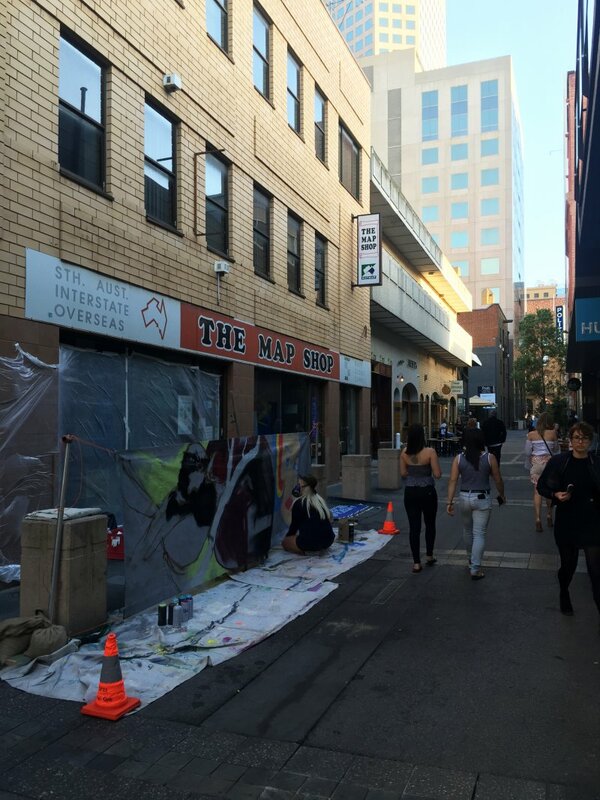 These images are just a little teaser of much more to come for this little Street so watch this space! 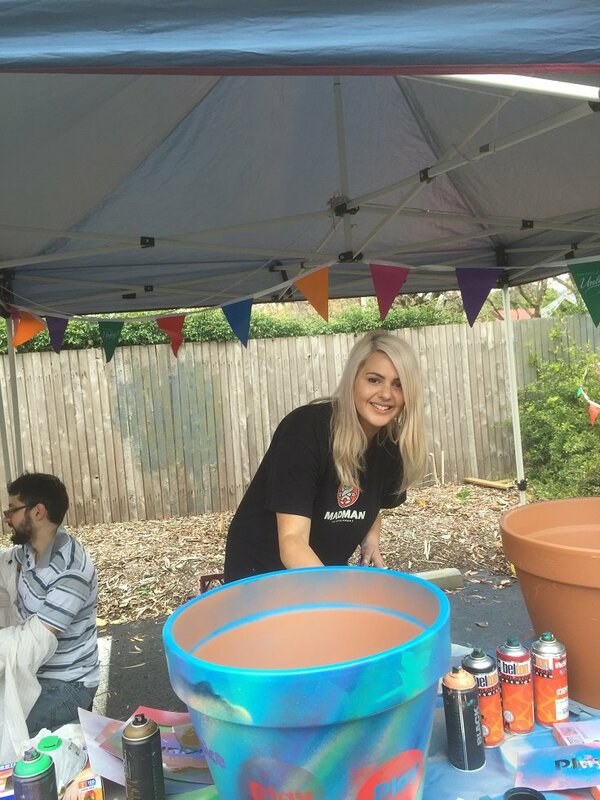 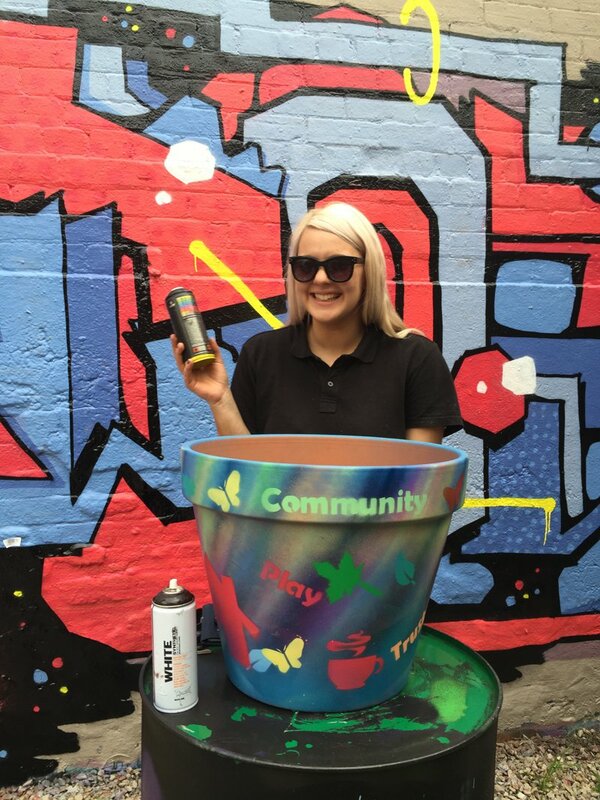 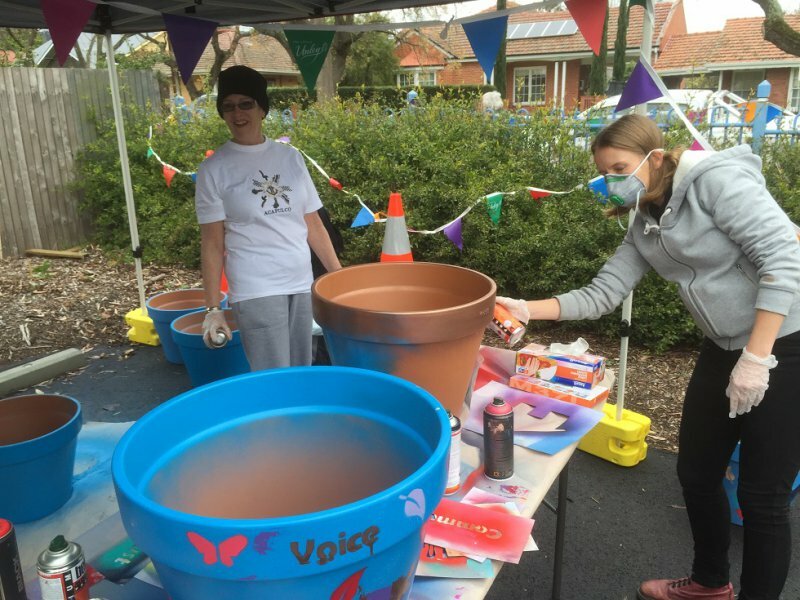 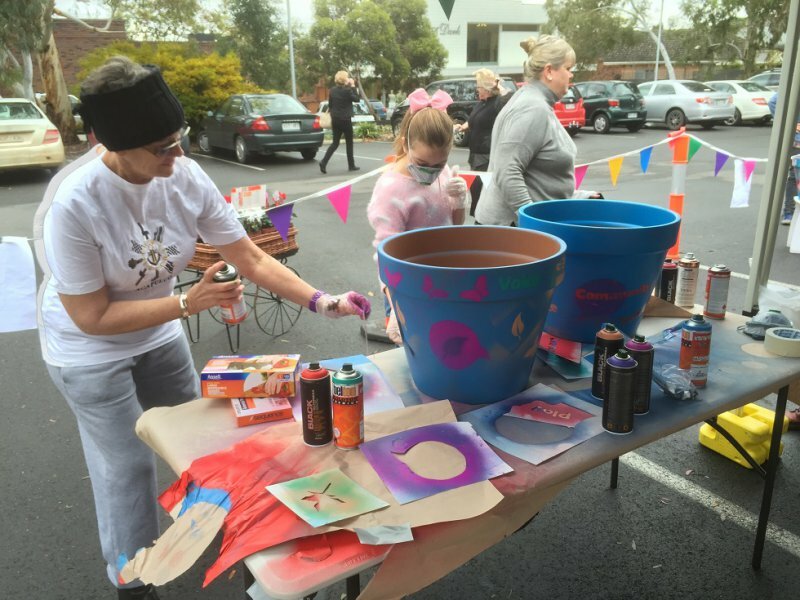 Our Talented resident artist, Tayla Carlaw recently facilitated Stencil Workshops for the City Of Unley and Highgate Village. 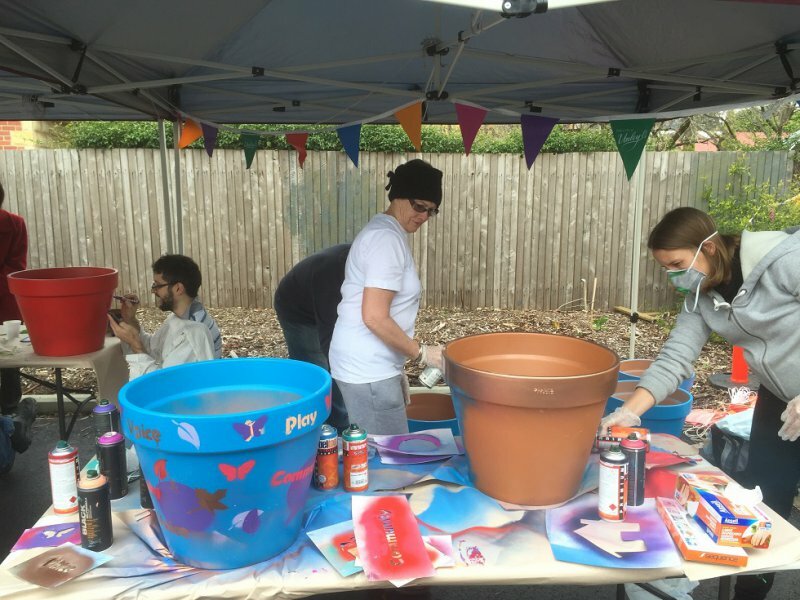 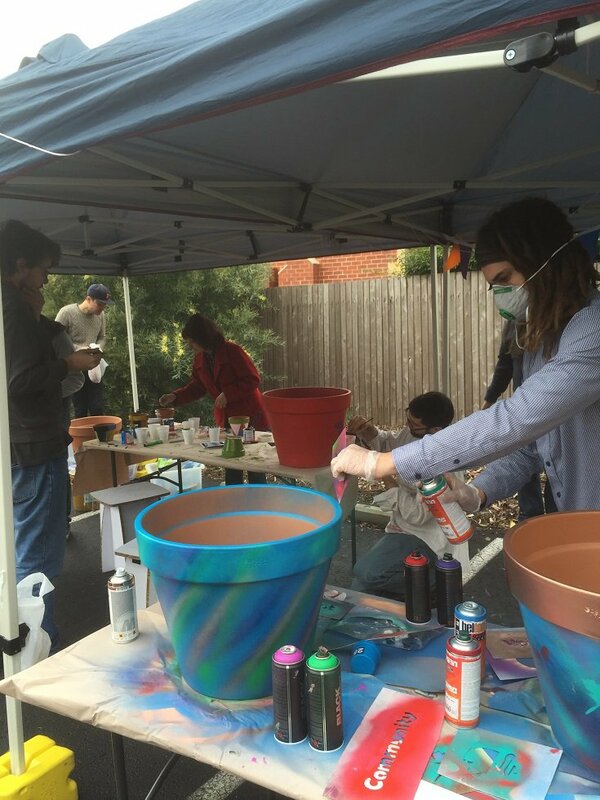 Everybody had a go and created some very unique works on planter pots that will be used in the Unley Community. 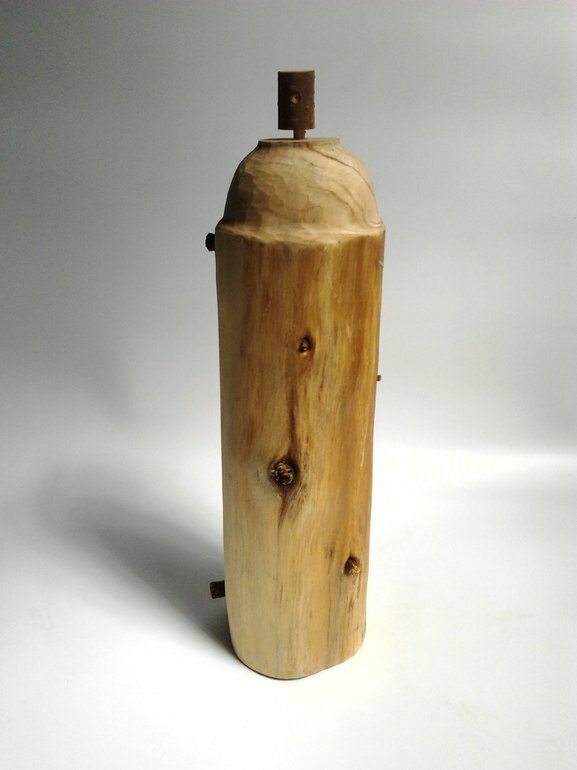 Self taught artist, Hugo Perez from New York has added this very cool organic sculpture of a spray can titled "Spray Paint Can" to his collection of works on Saatchi Art. 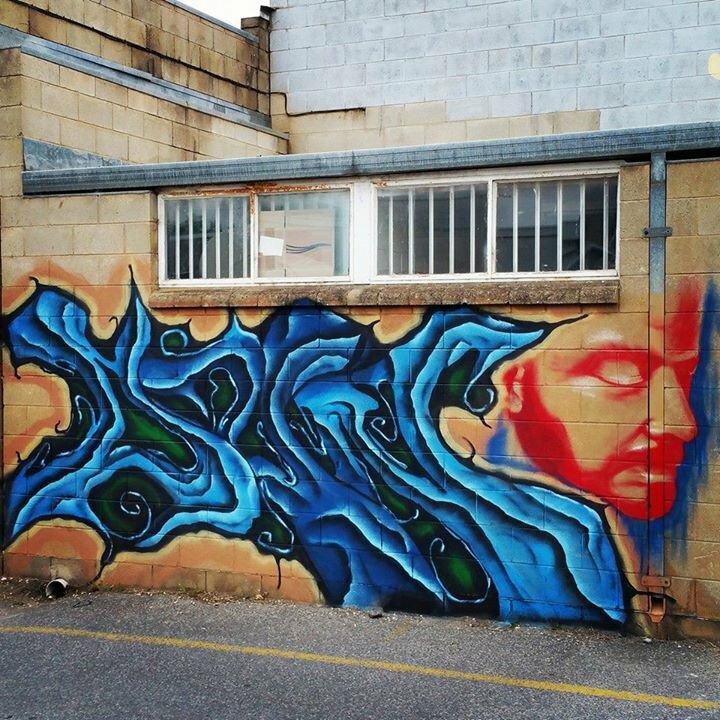 Perez uses a variety of mediums. 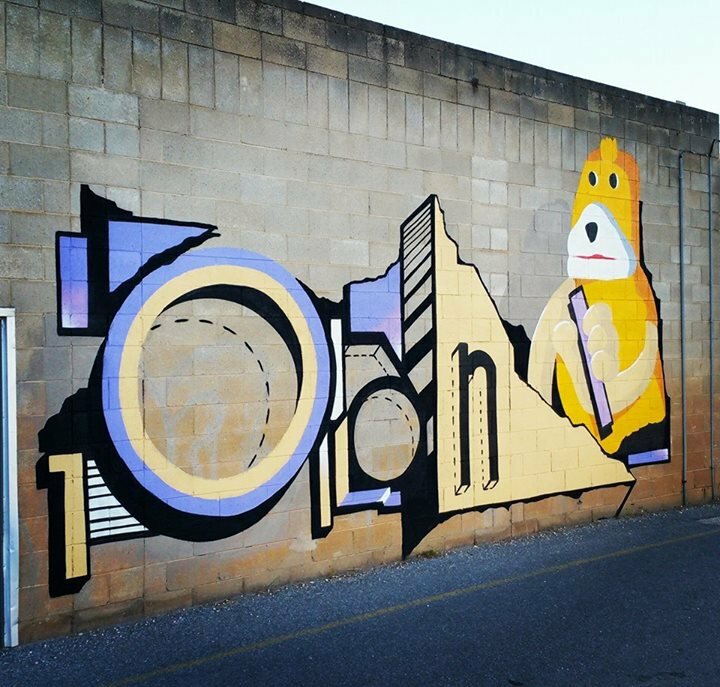 Drawing being his primary medium, he also creates paintings, sculpture, wood carving, printmaking and uses ceramics as a segue to creating new ideas. 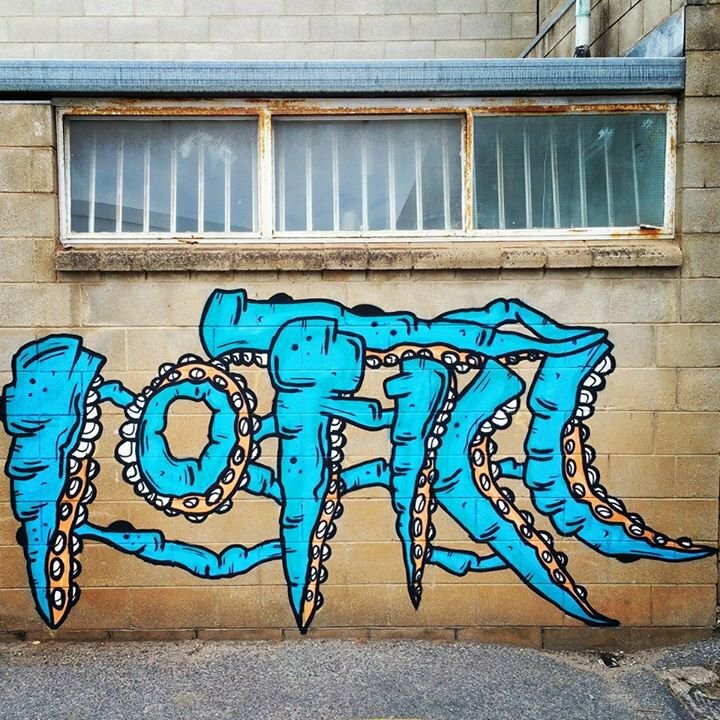 He quotes, "My work is the product of being aware of our limited life span and that art is one of the few things that fill the void of existence". 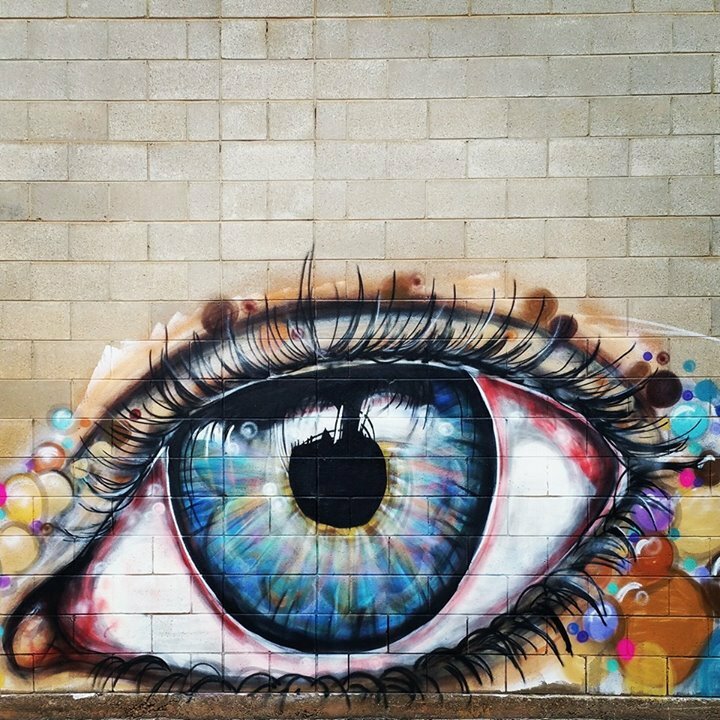 Quite different to his other works, this sculpture can be identifed as a true New York icon, and his inspiration for this is clearly drawn from the New York urban environment around him. 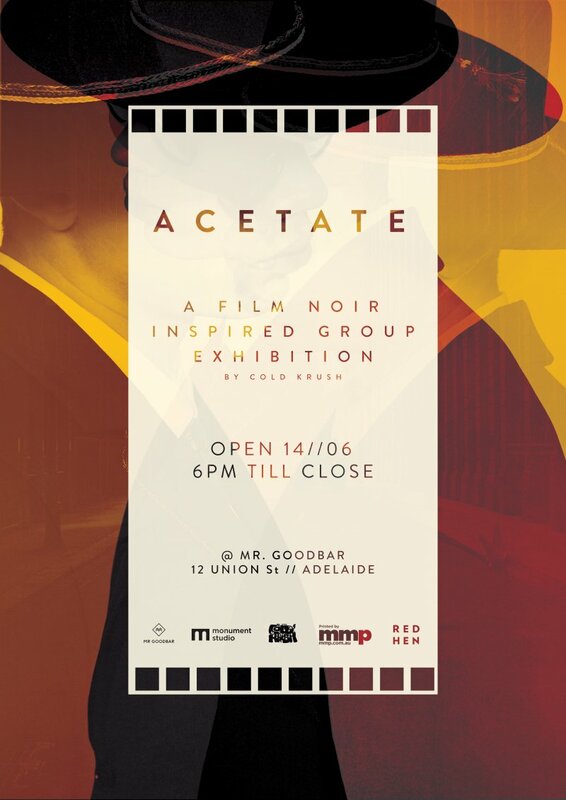 I love the fact this piece is afforable too, at AU$400 this is a bargain for a one of a kind, hand made scultpture. 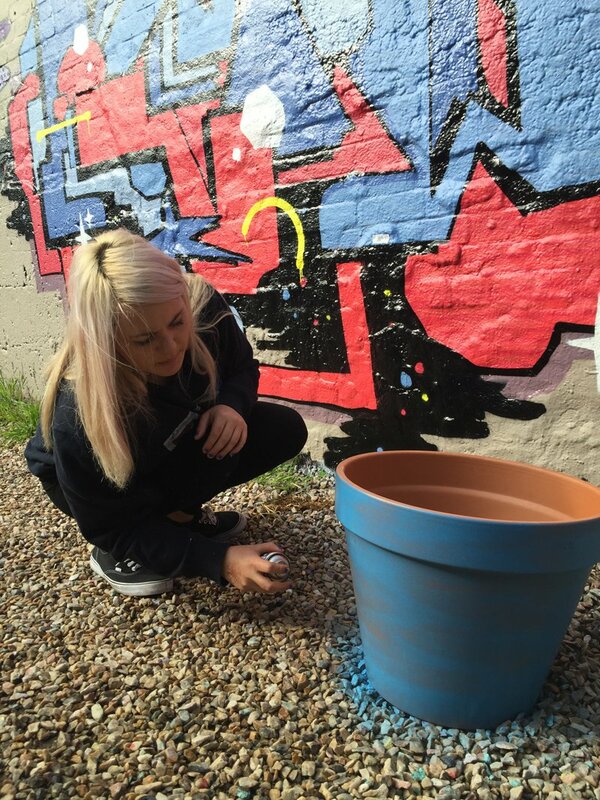 Definitely one to add to the mantle piece!